A Philippine appeals court has upheld a decision that an online news site critical of President Rodrigo Duterte violated a constitutional ban on foreign ownership of news media. Hear Hawaiʻi Public Radio's recent interview with Rappler's Maria Ressa on journalism in the age of Duterte. Journalism is under assault in the Philippines. 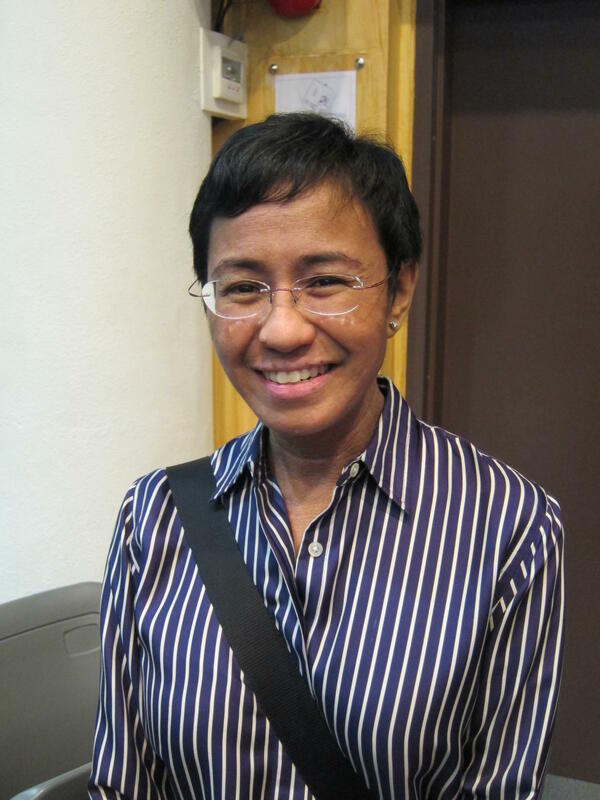 Maria Ressa is an award-winning reporter and the founder, CEO, and editor-in-chief of Rappler.com, an independent voice of news in that country. A couple of months ago, she was named one of Time Magazine’s Persons of the Year for her courage in continuing to publish independent journalism in the face of what can only be called government harassment. Two weeks ago, she was arrested on charges of “cyber-libel” — based on a story that came out seven years ago — before that law was even on the books. Last week’s arrest of Philippines journalist Maria Ressa by the government of President Rodrigo Duterte shocked many. She was recently named as one of Time Magazine’s “Persons of the Year” for her efforts to maintain an independent voice for news in the Philippines--by way of the news website she founded Rappler.com. A newly organized group in Hawaii is rallying to support free speech for her--and for other journalists in the Philippines. Catherine Cruz spoke with Arcy Imasa and Ellen-Rae Cachola about what they see as human rights violations in the Philippines.